The aging population has to take special care of their teeth and overall oral health so that they can retain the set of natural teeth for many more years. As people grow old especially after crossing 55 years, the need for overall healthcare attention increases as the body becomes vulnerable to diseases and illnesses and under no circumstances can aging people afford to ignore caring for oral health. Oral healthcare has to be a part of the routine healthcare because in most cases the early signs of systematic diseases appear in the mouth. By testing the saliva or examining lesions in the mouth, doctors can detect routine diseases early and initiate proper treatment with higher chances of cure. A regular visit to some dental clinics like Meadowdale Dental Clinic in Lynnwood, WA ensures that you take adequate care of your oral health. We get just one set of natural teeth, and unless you look after it well, it will not last a lifetime. Moreover, years of neglect could lead to a variety of dental diseases like gum diseases, tartar and plaque formation and bad breath and your teeth might become a significant health concern. 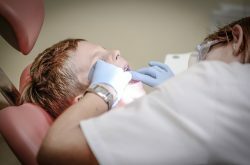 However, the good news is that the spread of oral health care education coupled with advances in modern dentistry and with the availability of better oral care tools like toothbrushes, toothpaste, and interdental cleaners, a more substantial number of the older population are now retaining their natural teeth for a more extended period. In this article, we will discuss some common oral conditions that afflict older people and provide some tips that help to take proper care of your teeth. During aging, the entire body goes through many changes and the oral health profile is no exception. You experience conditions inside your mouth that did not exist before. There is nothing to worry because it is a natural process, but you must be aware of the changes so that you start living with it. By talking to a dentist, you can educate yourself about the conditions of oral health that you should expect at your age. Dry mouth is the most prominent sign of ageing, and you might experience tooth decay, attrition, and even some other oral diseases. Dry mouth – Dry mouth is typical among older people because the physical changes that the body undergoes as age advances could result in dryness of mouth. It can also happen due to some medications which are a common cause because there are more than 400 different types of medications that cause dry mouth. Dry mouth can lead to some oral diseases because it results from lowering of saliva that helps to rebuild enamel and kill bacteria. Disease – Thrush is a widespread dental disease that afflicts older people. It manifests in the form of excessive fungus growth in the mouth. Chances of oral cancer also exist especially for people who have not taken good care of their teeth and overall oral health. Attrition – The teeth have to work hard for many years to facilitate chewing and grinding that is essential for proper digestion of food. 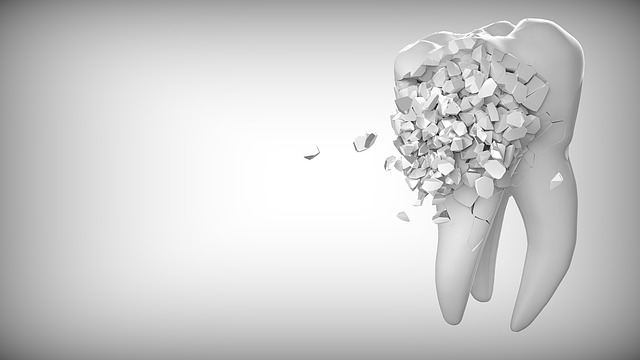 The stress that teeth have to undergo results in wear and tear that shows up prominently after many years. As you grow old one day, you might discover that some teeth have loosened from the gums. Wearing down of tooth enamel is common, and older people face the risk of cavities. Root decay – When older people suffer from gum disease it often happens that the roots of your teeth get exposed thereby accelerating the process of root decay. Root decay occurs when cavities form on the surfaces of the root of the teeth. Older people have to face some common conditions related to teeth and oral health and being aware of it would help to plan proper care that prevents aggravation of the conditions. Gum disease, tooth or root decay and sensitive teeth are the most common conditions that you should know about. Gum disease – You should never neglect gum disease as it can have serious health implications if not controlled through proper treatment at an early stage. Plaque that develops on the teeth and gums might look quite harmless, but if left untreated it can cause infection of the gum tissues surrounding teeth. If you observe swollen and red gums, it is a definite sign of Gingivitis, which is the name for gum disease. It can also lead to bleeding gums. If any older people suffer from gum disease, it indicates that the person did not take proper oral health care from an early age that allowed the formation of plaque on teeth and gums for many years and ultimately turned into the disease. Tooth or Root decay – Tooth or root decay occurs due to gum recession, and it can even affect people above 55 years age. The disease has many other names as some call it root cavities or root caries. Typically, the root surfaces of teeth remain hidden under gums and not visible. However, when you have cavities, the root becomes visible in the portion where the tooth meets the gum. While this can be due to age-related changes, or due to receding gums, improper brushing for many years is also a reason for it. Sensitive teeth – Tooth can become so sensitive that it gives a sharp tingling sensation that is almost unbearable when you try to drink a glass of cold or hot water. The problem is quite prevalent in older people and worn tooth enamel is a primary reason for it. A layer of enamel on tooth protects it from unwanted shocks, and when the enamel wears away due to aging, teeth become hypersensitive. It can also happen if you have a fractured tooth and brushing with hard bristle toothbrush by applying too much pressure can result in enhanced tooth sensitivity. It can also occur from gum recession that exposes the underlying surface of the tooth. Tooth or root decay is likely to occur more among older people for a variety of reasons. Older adults are most prone to exposed root surfaces that happen due to ageing, and it increases the risks of tooth decay. As older people are likely to be on different kinds of medications, the mouth becomes dry as saliva secretion reduces. Since saliva protects teeth from cavities, lower level of saliva in the mouth makes older people susceptible to cavities that ultimately increase the risks of tooth decay. Arthritis in older people might impair hand movement, and they are unable to brush correctly. Poor eyesight is another reason for being unable to examine tooth health closely to detect plaque and tartar. Overall, the ability of older people to take proper care of teeth diminishes, and this leads to tooth decay. Visit a dentist who can provide relief from tooth sensitivity and give comfort. Describe your experience and symptoms to the dentist to make him, or her understand your condition in the right perspective. Also, share any information about what makes you feel comfortable in such situations like using warm water instead of cold water. 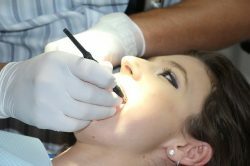 Once the dentist identifies the underlying cause of sensitivity, which can happen from a variety of reasons, it could be that replacing a worn-out filling or fixing a cavity could cure the condition. The dentist may suggest gum graft if the exposure of root surface happens due to gum recession or gum loss. 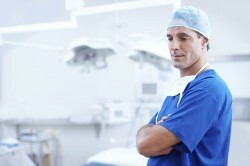 In such case, you have to get it done by a periodontist who specializes in gum treatment. Use of fluoride gel in the treatment of tooth sensitivity works well as it reduces painful sensations and strengthens tooth enamel. Older people must be extra careful about ensuring oral health care at home and must develop some good habits to keep teeth healthy. Since fluoride is a well-known do good compound for all kinds of teeth, start using toothpaste that contains fluoride and if you are unable to do so, at least use a fluoride rinse daily. Try to identify the medication that causes dry mouth and ask your doctor to replace it with one that does not affect saliva secretion. If this is not possible, keep the mouth hydrated by drinking lots of water, chew a gum free from sugar, and remember to avoid alcohol because it tends to dehydrate the body. To avoid plaque buildup, after brushing and flossing, use an anti-bacterial mouthwash. Avoid using tobacco in any form because it increases the risks of throat and mouth cancer. It can also lead to many other serious ailments like heart diseases. Especially harmful is the habit of chewing tobacco as many tobacco formulations contain sugar and can aggravate conditions of tooth decay. Oral health care is more of common sense and just as you would take care of any other health conditions; make it a habit of looking after your mouth which is the secret of leading a healthy life in your twilight years.